This book is about how Australians have responded to stories about suffering and injustice in Australia, presented in a range of public media, including literature, history, films, and television. Those who have responded are both ordinary and prominent Australians—politicians, writers, and scholars. 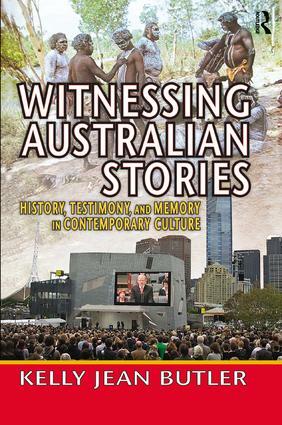 All have sought to come to terms with Australia's history by responding empathetically to stories of its marginalized citizens.Drawing upon international scholarship on collective memory, public history, testimony, and witnessing, this book represents a cultural history of contemporary Australia. It examines the forms of witnessing that dominated Australian public culture at the turn of the millennium. Since the late 1980s, witnessing has developed in Australia in response to the increasingly audible voices of indigenous peoples, migrants, and more recently, asylum seekers. As these voices became public, they posed a challenge not only to scholars and politicians, but also, most importantly, to ordinary citizens.When former Prime Minister Kevin Rudd delivered his historic apology to Australia's indigenous peoples in February 2008, he performed an act of collective witnessing that affirmed the testimony and experiences of Aboriginal Australians. The phenomenon of witnessing became crucial, not only to the recognition and reparation of past injustices, but to efforts to create a more cosmopolitan Australia in the present. This is a vital addition to Transaction's critically acclaimed Memory and Narrative series.